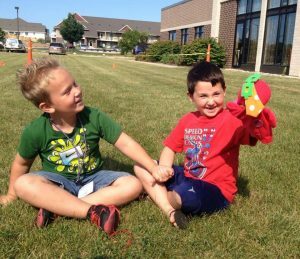 Each year, usually the last week of July, St. Anne holds Vacation Bible School for children in preschool through 5th grade. Held at the parish, the week includes activities, movies, prayer and music — simply a fun week to learn more about Christ and share the joy with friends. The VBS ministry team comprises adult and high school volunteers who supervise the children and ensure a wonderful and safe experience for all. Registration begins in the April timeframe. VBS 2018 will be July 23-27, 2018 at St. Anne.